Join us for Family Day presented in conjunction with the exhibition “Trigger: Gender as a Tool and a Weapon,” on view at the New Museum from September 27, 2017, to January 21, 2018. Several works throughout the exhibition highlight and complicate the often gendered associations of crafts such as weaving, braiding, and textile-based practices. 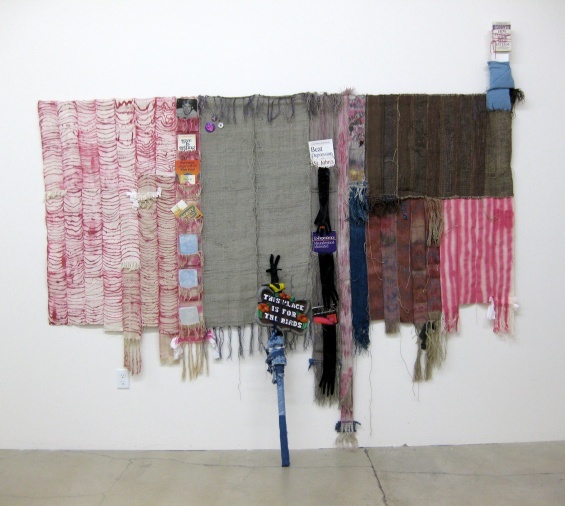 Families will explore these practices through the work of artist Josh Faught, who is featured in “Trigger.” Faught’s freestanding hand-dyed and hand-woven textile work will serve as inspiration for families to create braids, patterns, and a textile of their own. This month, Family Day occurs on the second Saturday of December. First Saturdays for Families will resume its regular schedule in January. Support for “Trigger: Gender as a Tool and a Weapon” can be viewed here.